Given the importance of the finished product, a considerable amount of thought and planning will undoubtedly go into the creation of your comprehensive estate plan. Consequently, you should put the same amount of thought into choosing an estate planning attorney to help you create your plan. The estate planning attorneys and staff at the Augulis Law Firm understand the importance of your estate plan and we would be honored to help you create yours. We are dedicated to ensuring that our friends and neighbors in Hillsborough Township, New Jersey have a successful estate plan in place. Like most of the surrounding area, it is believed that early man inhabited what is now Hillsborough Township, New Jersey thousands of years ago. The discovery of Clovis-type spear points have been found in, and around, Hillsborough, leading experts to believe that early man arrived at least ten or twelve thousand years ago when the mammoth and mastodon still roamed the area. Additional artifacts found in the region indicate continuous occupation until historic times. Modern day records relating to Hillsborough tell us that the area was occupied by the Unami Indians, consider part of the Algonquin Nation, during the 1600s. Some of the earliest land transactions found in the records of Hillsborough begin around 1700; however, it wasn’t until May 31, 1771 that Hillsborough was officially granted a Charter incorporating it as a Township. Not long after, Hillsborough Township became a permanent part of American history as the path General George Washington and his troops traveled from the Battle of Princeton to winter quarters in Morristown. Eventually, Hillsborough Township was formally incorporated on February 21, 1798. The township continued to grow and flourish into five small villages over the next two centuries, including Belle Mead, Blackwells Mills, Flagtown, Neshanic, and South Branch. Located in Somerset County, Hillsborough Township covers approximately 55 square miles and is home to almost 40,000 residents, according to the 2010 Census. In Money magazine’s 2013 “Best Places to Live” rankings, Hillsborough was ranked 16th in the nation, the third-highest among the three places in New Jersey included in the top 50 list. In the magazine’s 2007 rankings, the township was ranked as the 23rd best place to live in the nation. Not surprisingly, Hillsborough Township is a virtual treasure trove of historical landmarks, homes, and buildings. Hillsborough is also home to Duke Gardens and Duke Farms, a 2,700 acres estate in the north-eastern quadrant of the town that was originally owned by tobacco and electric energy tycoon James “Buck” Duke and then passed down to daughter Doris Duke, and is now one of the few remaining “preserved” natural areas in Hillsborough Township. Each of the villages, and other smaller unincorporated towns, throughout the township offer unique opportunities for residents and visitors alike to explore both the rich history of the area and the modern amenities found in Hillsborough Township. Estate planning, when done correctly, is a highly personal, and sometimes sensitive, endeavor that best accomplished with the assistance of an experienced estate planning attorney. At the Augulis Law Firm, we understand that it can be difficult to divulge personal and financial details to a stranger which is one reason why we are committed to developing and nurturing relationships with our Hillsborough Township, New Jersey clients. Our goal is to help you create a plan that will protect you and those you love both now and for the rest of your life. Estate planning is somewhat unique within the law in that it is not a legal matter that is ever truly “resolved.” On the contrary, for your estate plan to be successful it needs to be an ongoing venture that is continuously reviewed and updated to reflect changes that occur in your life. Your initial estate plan may focus entirely on creating a plan for the distribution of your estate assets in the event of your untimely demise. As you progress through the stages of your life, changes in your life will require corresponding changes to your estate plan. If you marry, for example, you will want to include your spouse as a beneficiary in your plan. Becoming a parent will also cause you to start thinking about things such as incapacity planning, probate avoidance, and other estate planning issues for parents with minor children. As your asset portfolio grows, you may need to incorporate assets protection and tax avoidance strategies into your estate plan. Retirement planning and Medicaid planning will also need to be considered as early on in your life as possible to reap the maximum benefits from those plans. 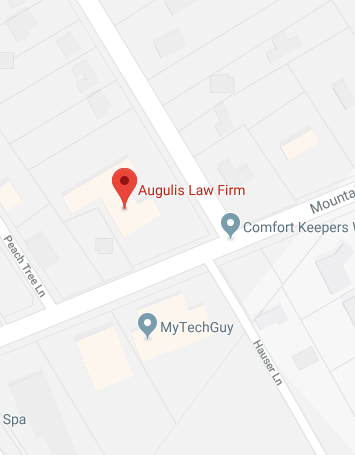 Our hope at the Augulis Law Firm is that we can be there with you as you pass through the various phases of your life to help ensure that your estate plan protects you, your assets, and your loved ones. If you have additional questions about New Jersey estate planning, contact the experienced New Jersey estate planning lawyers at Augulis Law Firm by calling 908-222-8803 to schedule your appointment today.